Song River: Where did the inspiration come from to create this short film? A film directed by Fanon Kabwe for the song by Loki Rothman. Created in South Africa. Fanon Kabwe: The inspiration behind the concept of Under the Stars Music video was mainly the track itself as I am a big fan of the indie pop and electronic music. So when I heard the song for the first I had a feeling of making it a story driven music video, setting the story within the deep inner thoughts of two characters, a beautiful couple that can’t seem to break up regardless of all the fights, struggles and conflicts within their relationship, the idea of love never dies. Song River: Where is the location? Song River: The visual speaks at times of desolation, why? Fanon Kabwe: Desolation was a huge part of the storyline and visually something that emphasizes the emotional journey of a crazy damaged beautiful couple. The execution behind the visuals was mostly about creating a parallel between being extremely isolated in a relationship that on the verge of breaking its core even though the couple fights not only to get away from the pain and tenacity but to the point of not giving up to all that comes in between. Song River: Yet, the storyline brings the emotions of anger and perhaps sorrow or forgiveness? Where were all of these pieces coming from? Fanon Kabwe: Basically the emotions within the storyline were intentionally planned to arouse the deep feelings of a damaged relationship between two people who can’t seem to move on and connect to the tone and mood of the song that is powerful yet emotionally dramatic piece of art. Song River: Overall what has been the reaction to the film? Fanon Kabwe: Since the official release of the under the stars music video, the audience has received it quite positively the storyline within the music video and it's playing internationally in many festival. Song River: How did you go about choosing the settings when you create a film and music jointly? Fanon Kabwe: The location and settings of the music video were two major things in the film because they were part of the story line signifying the damaged state and loneliness in our characters relationship. After days of unsuccessful scouting for locations “the lone broken house and a deserted place”. We finally came across the news of fire blazing part of cape town and decided to go check the places that were burnt down, we came up this location in Simon’s town on the south coast of Cape Town that was burnt down with the fire leaving the place looking like on planet mars and we had to go shoot quickly and move out as it was a perfect for our storyline involving the astronaut. We shot it just after the fire blazing on Table Mountain and around silver mine national park on the south coast and at a lone broken house in Simon’s Town. Song River: Can multiple genres of art help convey a story better do you think? Fanon Kabwe: Art is such a complex thing, and combining multiple genres of art can result in creating outstanding work because of its complexity and it opens up a world full of curiosity and creative tools that can help shape a story even better sometimes. Song River: During the process of creating this work, were there any memorable moments that stood out to you along the way? Song River: Why did you decide to enter this particular work into the Frame X Sound Fest? Fanon Kabwe: Frame X Sound Fest was a festival that suited best our film, and since it was its first time organizing an online festival, so it was a best way to showcase this work on such a platform. Song River: Can you share with us what you might be working on next to release? 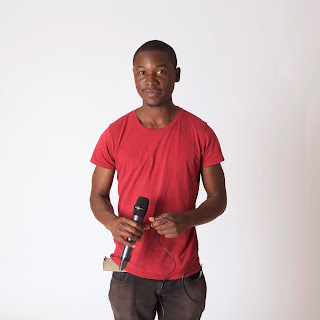 Fanon Kabwe: At the moment I am just working on writing a short film and doing TV commercial for the African market and brainstorming for my next documentary film probably set to be shot sometimes next year.